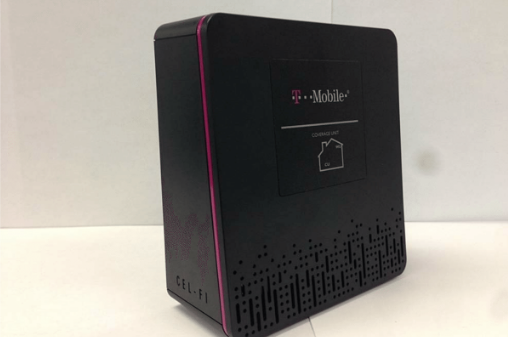 T-Mobile’s been planning an update to its current Cel-Fi home signal boosters it seems and your curiosity regarding the RS3 should be satisfied now. At least for the short term. Uncovered by a Reddit user Bulls729, both the new Windows Unit and Coverage Unit filings have been published by the FCC. As you can see, there’s been something of a redesign. In my mind, it’s by far the most visually appealing. For those curious, the Window Unit FCCID is YETD24NU while the Coverage unit is YETD24CU. Hitting each of those links will take you to their filings on the FCC page giving you as much detail as you could need. We’re not 100% sure on when these will roll out to customers, but the Reddit user did call a CS agent who advised him to call back in three weeks. Which could mean it’ll be out then, or that she was simply trying to give as realistic a time frame as possible without saying “I don’t know”. His post states that RS2 users should be able to upgrade to the newer model, providing they send back the older one first. We suspect that in order to qualify for one, the criteria is similar to current models: You need at least 1 bar of signal (in this case, LTE) in your house for the device to work. The device has also shown up on Nextivity’s support pages as the “RS3 Duo”. Early indications suggest it’s compatible with LTE/HSPA+ bands 2 and 4. We’re yet to see confirmation of that yet, but we’ll update this post if and when we find out more. For a full gallery of images detailing design, internals and user guides, hit this link. Just the RS2 can upgrade? What if we’re stuck with a RS1? Anyone know how this will work if you have an LTE handset that can’t do VoLTE? Will the coverage unit be able to provide/boost coverage of LTE and HSDPA simultaneously so that the device can fall back to HSDPA for voice calls? The RS3 Duo supports both LTE and HSPA+ simultaneously. Nice, It’s a smaller unit too. what is the difference between a Window Unit and a Coverage Unit? do they both do the same thing? The names descriptive. You put the Window Unit next to the window to grab some signal to amplify. You put the Coverage Unit somewhere in your house to provide coverage. I think the confusion is coming from the comments referring to it as a “Windows” unit as it if works with the OS, not by being placed near a window. It is clearly called a “window” unit in the article, though, so the confusion is confusing. They work together.. you need both.. The Window Unit is what picks up the signal from the tower and repeated to the Coverage unit; which is put centrally in the house and provides a signal in the house. I have the regular unit, I am hoping they let me upgrade to LTE/Hspa+ version when it comes out. What would be nice if they just used WiFi for in the house from the Windows unit. Then they shouldn’t need to units, AND not have issues with neighbors connecting to the unit. sometimes you dont want to use wifi calling. wifi calling is a pain sometimes. you cant send mms messages on wifi calling, it just doesnt work. wifi calling is good for that, calls and basic sms. anything other than that and you can say goodbye to not receiving it until you get hspa+ or lte signal. Somehow this replied to the wrong post (operator error, probably). i agree. there are 2 pieces as indicated in the article. one “window unit” which goes into a window to get the signal, boosts it, sends it to the coverage unit, and gives the whole house signal. That’s of limited use. If you have 1 bar LTE you probably don’t need a signal booster. Wifi calling is more important. In my case the celfi rs2 couldn’t reliably pick up a 4g signal and would sometimes drop. Reception wasn’t that much better than without the celfi. Expensive technology with limited usefulness. I had to switch to att. Now with only 1 bar 4g or LTE I have never dropped a call. How do they do it. I’m pretty sure they’re on the same towers. I think it has to be something more than that. 4G (HSPA?) must be smarter than EDGE (GSM). It seems to actively hold the signal it has better. I can be on AT&T in a spot with No Service. Then it retries, gets 1 bar, I make a call, be on the call for quite a while, never drop, then end the call and go back to No Service. Once its on a call its hard to drop it. Tmobile needs to get rid of all EDGE/GSM and have everything support HSPA and up. Yup, we’re waiting for that now. Some will get those upgrades by the end of the year, the rest next year. I’m hoping ours is before the end of the year. That has nothing to do with it, AT&T is running 850MHz so it will hold onto a “weak” signal longer than 1900MHz. Sorry that doesn’t make sense. If I have no service before and after the call, but it doesn’t drop during, that shows that I have a very weak signal regardless of the frequency. Making a similar call on Tmobile will drop as often as it goes to no service. I’ve never seen it hold on to a call. On an iPhone in field test mode, how to I check what frequency its using? CDMA has better propagation capabilities, that is one of the reason it holds a call better. I was able to put the iPhone in field test mode. It says the phone is using 1900MHz PCS to connect to AT&T. It is also connecting using UMTS whereas from my home, when connecting to Tmobile it uses GSM. This shows its the protocol difference and not the frequency. 1900Mhz is NOT a low frequency. You answered your own question. GSM is a time based protocol with hard distance caps. Whereas, wcdma is code based and the signal has no hard distance limits. Basic CDMA like that of verizon is even better and can work with even the faintest signal. In our area (Mendocino County, NW CA) AT&T voice is on 1900, we’re a former Edge Wireless (AT&T Affiliate, only had 1900) market. AT&T is running LTE on 700 and 1900 here. T-Mobile has HSPA up in some of the county, but most of it is still EDGE with them, while AT&T, Verizon and U.S. Cellular have all their networks here LTE. Femtocell would be better and more reliable when wifi calling isn’t available. IMHO, it shouldn’t be either/or. Ideally people would have multiple options to use in their homes and offices depending on their needs. would this be available to metropcs customers too? It’s owned by tmobile and on the same network. I’m lucky to get more than a bar of strength in my home. I’m shocked by how bad coverage is. For outright purchase possibly, but not provided by MetroPCS. It actually looks like they can, on Metro’s FAQ it even directs to T-Mobiles booster registration page. Update: Just called and tried to get the new RS3 and it is not available as of yet. No ETA given by the rep, so I will hold out for it, since I don’t want to get the RS2 and then have to send back for the RS3. I need the RS3. My RS1 is very spotty with my new phone. Please hurry t-mobile. I just got my RS3 and it’s working great so far and supports the LTE Network .